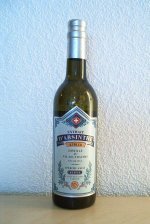 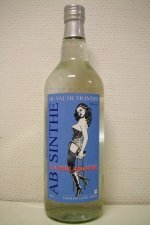 The famous La Clandestine absinthe with a wine base alcohol. 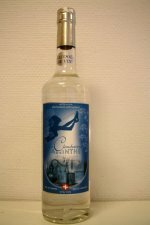 Made in the heart of Couvet by Claude-Alain Bugnon. 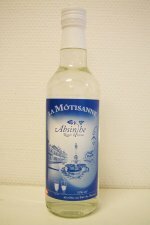 It comes as no surprise that this is another one of those Swiss La Bleues. 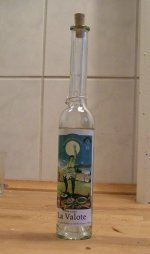 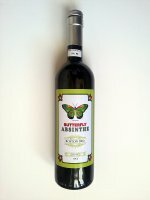 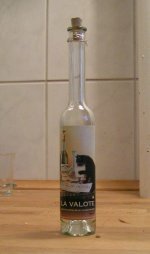 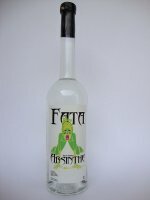 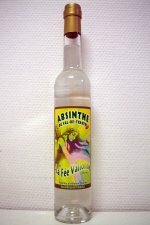 Bought at the annual absinthe festival, Fête d'Absinthe in Boveresse. 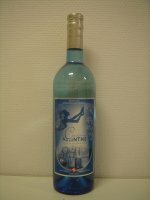 Another La Bleue... 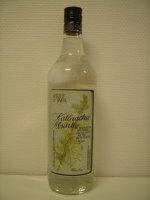 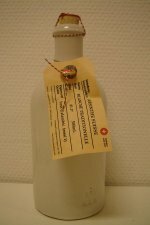 This one made by Gaudentia Persoz, likely the only female distiller in Val-de-Travers. 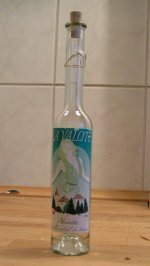 The name is a play of words on the Val-de-Travers. 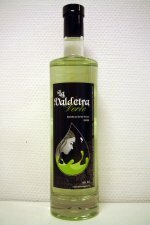 But this attempt at making a verte should have been called Val-de-Travesty. 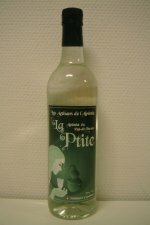 Another La Bleue from the La Valote distillery.